Online dating through social and dating apps that are available for iOS and Android has been widely used and introduced for years now. Lets see which are the best ones. Thousands of apps emerged, with tons of them being scammy and created solely for the purpose to scam the users. Today we bring you the best dating apps for 2017 and with these apps your excitement for this year will be on high levels. They are reliable, have great matching systems, solid user base and amazing dating features. This video chat app offers various features as well it made more than 100 billon connection between people from all over the globe. On this app all you need to do is to add your preferences like your gender and your location, no complication while you create your profile. You can be completely anonymous until you decide to give your name to someone. And there are a lot of users to talk with. 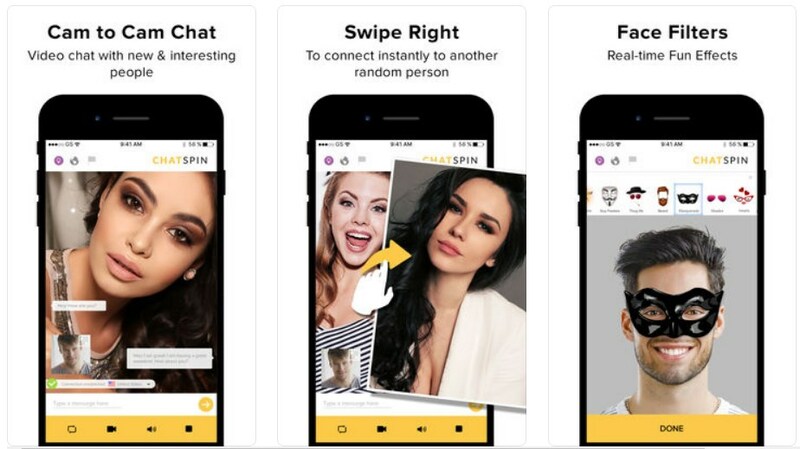 Chatspin – Random Video Chat is developed on the iOS platform for all users that like video chat with strangers randomly from the whole world. Compatible with all your IOS devices, this chat appoffers the chance to meet new people worldwide or from your surroundings with a tap on the app. The best video chat experience is offered to users with the HD streaming and crystal clear audio so you can find new friends, meet a love interest and get to know new interesting people that share your interests. This easy to use social app is developed for IOS users as one highly helpful and practical social network where users can post about their feelings and what’s bothering them on daily basis to vent and relieve their stress and anxiety. Users on the app are offered to share their annoyance and frustrations in complete privacy, chatting with strangers safely without revealing their identity. No need of any registration or login, users are able to share their personal feelings and vent every time they have a bad day, relaxing and feeling better each time. Fresh, new and interesting, with cool slogan " When ANY race is ok...Mix Amore", this app is an incredibly exciting interracial dating app, designed for Android devices, offering a friendly user interface and various unique features. Just by verifying their profile with a selfie, users will be able to look for matches and chat with them no matter if they are White, Latino/Hispanic, Black, Indian, Asian, getting all information they need to connect with people they like instantly and find their happiness and the perfect match. Blendin is a neat social networking app that let's you create pools or "this or that" image questions and later share them with your friends. The great thing is that these pools and questions can be shared on the most popular social networks and the users don't even need to have the app to vote. You can ask which girl is hotter, who is better, which team do you belong to and so much more. A great social pooling app! Who Chat? 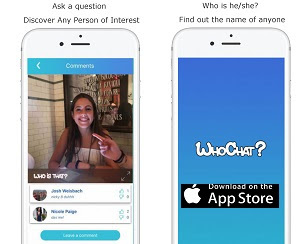 is more of a social discover app than it is a dating app, however, the app may surely come handy when you want to discover the name of a person you saw ones, a local cutie or someone you really have interest in meeting. All you need to do is post the photo and ask and you'll get relevant answers from a huge community. Picka is one of the dating apps gems of the year. 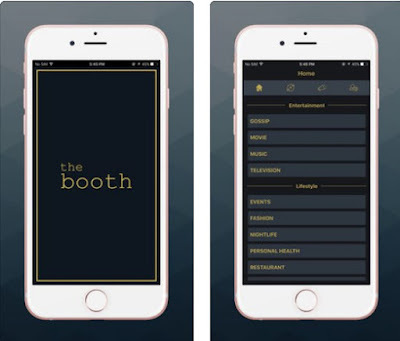 Really good location dating app with tons of great features. With Picka you can create a profile with a touch or simply by login with your Facebook account your perfect dates will be available. Smart Dating option gives you information about the mutual connection between you and the boy or girl you want to date. There is also Picka inbox and Real Time Chat for improving your romance match. There is a block feature too if someone you don’t like is contacting you! KAZZANOVA is a video social platform for iOS and Android, with excellent social and matching features that will bring fun and excitement to a typically daunting annoying meeting process. Meet people, singles, make new connections by interests, meet chat, talk and browse interests and videos. 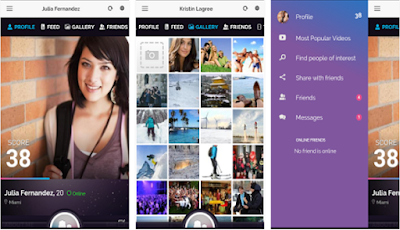 Enjoy one of the best video social apps to make meet new people. Going under the official title of Cool Meet: Hook Up App, Dating New People Near Me, the dating app quickly conquered the iOS dating app market. Due to the unique matching system and the unique set of features like the video presentation to other users, Cool Meet was able to quickly grow its user base. Now, the unique matching system and the video presentation, along with the other standard dating app features make it one of the hottest dating apps on the market. Recently its success have been recognized even by Facebook. Tinder is still one of the hottest dating apps on the app market, mostly because of its huge user data base. However, the features of the app are not so great as the matching system still needs some work. On top of that there are tons of scam users that are there just for fun. 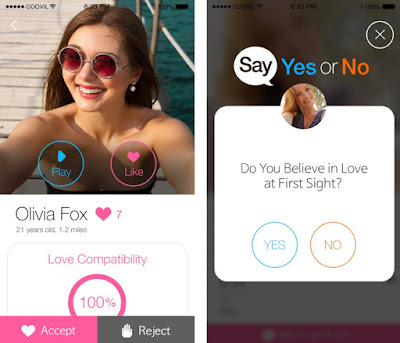 Still you can find solid date and have fun on one of the most downloaded dating apps for iOS. Although happn didn’t saw any major updates last year it is still one of the best and oldest dating apps for iOS. With amazing privacy options, one of the best features of the app is that it will not allow users to contact you if you haven’t liked them. Tons of users are awaiting your charms in one of the best and most private dating apps. DOWN dating is still one of the best local dating apps. It’s matching system is relevant and it mostly used to find instant meetups and dates. The anonymous browsing and chatting is also a huge plus. It has over 4m users. We hope that this list of the best dating 2019 apps will help you pick the best one for your taste and needs and help you enjoy this year even more in terms of love life!